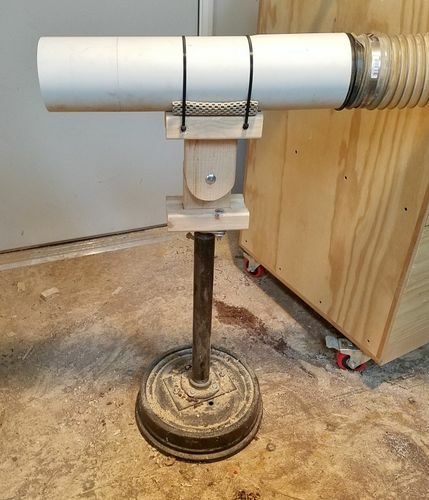 I recently started a project where I was doing a lot of power grinding and sanding. I used an angle grinder with a Kutzall Disk and an abrasive flap disk. I also was using a die grinder with Kutzall. I was generating a lot of dust and chips and need to control them. I tried just using the flex dust hose to collect the dust and chips but it was next to impossible to keep it where I wanted. 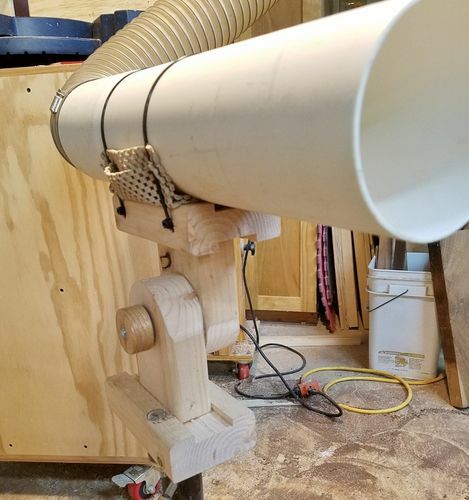 So I built the following to be able to better target where I wanted to collect the dust and chips. 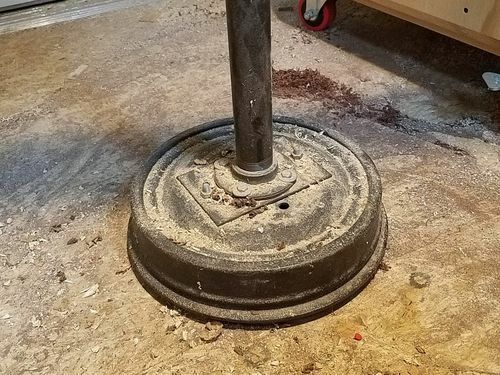 I used an old truck brake drum as a base and attached black pipe to it with a floor flange. I used a smaller pipe inside of the bottom one so I could change the height. The top of this was made from 2×4 and attached to the pipe with another floor flange. 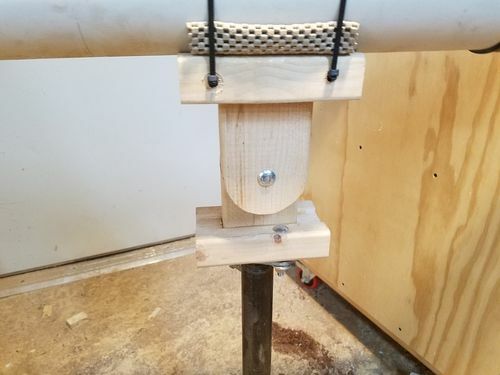 The PVC pipe on top is a 4” DWV pipe and is connected with zip ties. My 4” flex hose end slides nicely into the bell end of the pipe. If I need extra reach, I have a coupler and short piece of the DWV pipe. 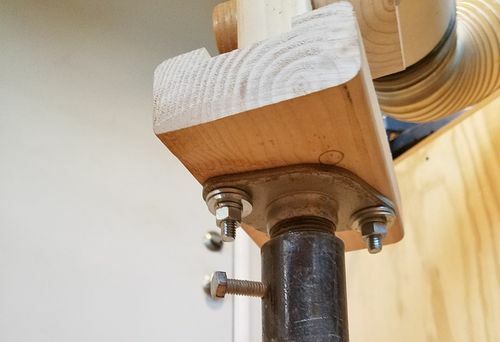 The angle of the head adjusts with a 5/16” carriage bolt and a homemade knob. Between the parts is sand paper to keep the head from moving when it is clamped. With my dust collector attached I am pulling just less than 1000 cfm through the pipe. This flow rate is based upon measurements and the performance curve that I showed in a previous blog. Great idea. I need something like that for time when I’m using the router. The Rockler “Big Gulp” or whatever they call it that I have doesn’t work 2” from the face of the opening.